B Side Mikey / Stevie Ray Vaughan – Radio for the People, by the People. Well I’ve decided to throw out some of the tasty blues guitar work with the influential Stevie Ray Vaughan tonight on the B Side Mikey Show. 8pm to 10pm in studio 1A, with a call in # 415 829 2980 is where is goes down. We’ve had a lot of heavy stuff going on in the studio and visits from great musicians in the metal / punk / hard rock side of life! I love it and thank all of them, however this side of the genre is also awesome stuff for folks ear holes, and the many musicians around the world who listen to my show. 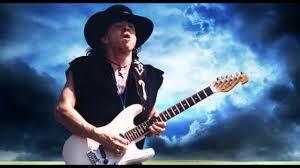 HATS OFF to all the guitar players around the world from every form of music there is…. Like my show on Facebook / type in B Side Mikey Show, it’s so appreciated. All of you around the world keep my staff & I going every Saturday night to the city of San Francisco to do this show. We are grateful for all of the world wide rockers, metal heads, blues lovers, stoner rock fans, punk heads, and every form of music covered on the B Side Mikey Show! \m/ \m/ “Sweet Kayla” / Bart Man” will join and now they have their own segments I THINK!!?? I’ll rip the tracks!